Some years ago, while I was teaching business courses at a small liberal arts college after a thirty year career in a corporate environment, the interim president of the college asked me how I thought the college could attract more students to its Business and Economics major. In response, and working with a faculty member from the politics department, we advanced the concept of establishing a “Center for Business and Policy Leadership” at the college, drawing upon the resources of the business and politics department, and focusing on the integration of relevant coursework, speakers, internships, public forums and formal connections to elite graduate programs. All of this was aimed at helping students understand the interplay between business and government policy, how to address the often conflicting goals, and to work through solutions to problems. The concept represented a specific differentiated offering, aimed at students who wanted to develop meaningful careers in both business and government, contribute to solving many of our current problems, and ideally migrate between business and policy positions during the course of their careers. The president liked the idea, assigned it to the Dean for follow up, and it promptly went absolutely nowhere. I think it was a good idea then, and a good idea now — but the college wasn’t under enough institutional stress at the time to force a fundamental re-assessment of its mission and market positioning. But times have changed. 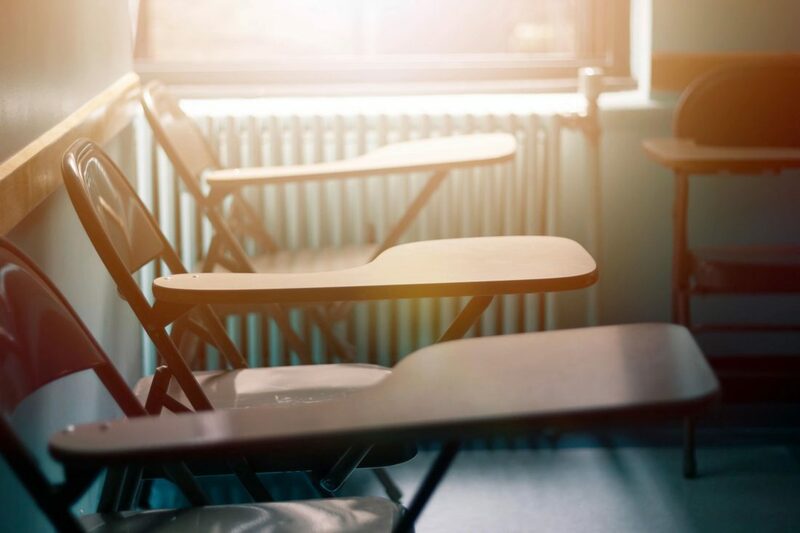 Demographics are working against college admissions departments, and smaller schools especially are feeling the economic heat of declining enrollment. A recent IvyWise blog post reported that over 500 colleges and universities are still accepting applications for the Class of 2021, long after the May1st deposit date. As colleges address their enrollment challenges, I believe that they need to think hard about what their mission is – and what it needs to be. A look at three different schools in my local (Philadelphia) area offers some insights into the different ways that schools can address these challenges — some more successfully than others. The University of the Sciences in Philadelphia is a good case in point. Founded in 1821 as the Philadelphia College of Pharmacy, it occupied a distinct niche for graduating high school students who wanted a career in pharmaceutical science. Many of my friends growing up in the 1960s just knew they were going to attend “Philly Pharmacy” after graduation. That market niche isn’t nearly as defined as it used to be, with the University now offering programs in four separate colleges – Pharmacy, Health Sciences, Arts and Sciences, and Health Care Business. As it has become less differentiated from its broad-curriculum competition, enrollment has dropped from 2500 to 2100 in five years, with a deficit of $4.5 million — 5% of its operating budget. In response, University administrators are taking the cost reduction steps that you would expect, including faculty and staff layoffs, elimination of at least two specific academic programs, and elimination of the music program and rifle team (rifle team?). Moreover, they talk about a “new college structure” possible for next year. But is “structure” enough? That implies consolidation and cost reduction, and I always found in business that it is impossible to cost cut one’s way to success. What is needed is careful market positioning and competitive differentiation within that market niche — as was “Philly Pharmacy” for many years. Perhaps reflection on the school’s successful roots might be in order. In fact, the University of the Sciences recently declined an opportunity to strategically merge with nearby Salus University (formerly Pennsylvania College of Optometry), which might have offered an opportunity to position itself more deeply into a defined market segment. At the same time, Thomas Jefferson University in Philadelphia has gone in a different direction, acquiring Philadelphia University in a clear effort to boost enrollment, and to develop a strengthened offering — specifically seeking to integrate programs in medicine with courses in the business thereof. Early returns on this timely move appear to be paying off, with 60 separate initiatives underway as the merger approaches final approvals. Finally, consider the case of Cheney University, the oldest historically black university in the United States, which is in a struggle for its very existence. The University has been in decline for years, with enrollment today of only 646 students — well below the 1,470 it had in 2008, and less than half of what it was as recently as 2010. As Cheney searches for a new president, they are taking steps to fundamentally re-examine the mission of the University. Plans are emerging to reduce the number of majors dramatically, from 17 to perhaps as low as 10, and to establish a “Center for Race, Ethnicity, and Social Justice” – perhaps not altogether a different strategy from our own proposal for a “Center for Business and Policy Leadership”. Do desperate times require desperate measures? “Desperate” is too strong a word, I think. What these times do require, though, is the need for smaller colleges and universities to fundamentally re-examine their mission and position in a crowded and rapidly changing market. They will then need the courage to dramatically re-shape their offerings to meet demand in that segment, positioning themselves as the strongest player in that niche — rather than trying to be all things to all men. This can be a painful process, and needs to be driven by the Trustees and administrators of the institution. Faculty and staff are understandably wedded to their particular disciplines and missions, and few of them will drive the needed change. Such change can only come from outside in, and top down. It’s not about rifle teams; it’s about the mission.